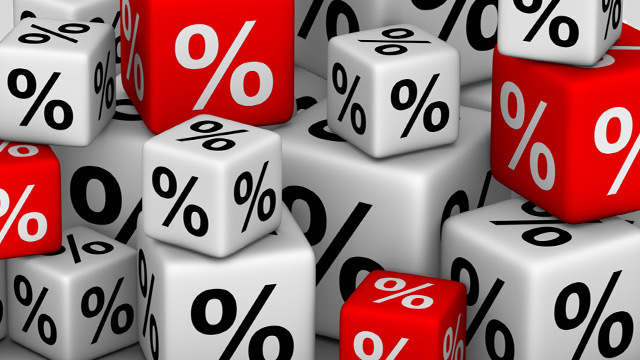 Time to lock in rates… Really? Has the rate cycle really bottomed? I’m not convinced. There’s been a curious clamour of analysts and economists saying that now is a good time to lock in rates. “CBA has abandoned its long-held forecast of another RBA rate cut in the second quarter of 2017. Beacher is looking for above-trend economic growth of 3 per cent in 2016, followed by an even stronger 3.25 per cent next year. Wow, what a difference a few months (and one election!) makes. It wasn’t that long ago that it was rate cuts as far as the eye could see. Personally, I think people are jumping at shadows. At lot of this interest rate talk comes from the apparent certainty that the US Fed is going to raise rates. Markets are pricing in a 96% chance of a hike in December. That’s almost a done deal. But the Fed has disappointed markets before, and wouldn’t be afraid to do it again if it had to. There’s also a question of how far the Fed actually raises rates. My guess is they’ll throw markets a bone with something tiny. The last word from Chair Janet Yellen was that risks were “roughly balanced” and that the economy was only strong enough for “gradual increases”. What’s more, a lot of this speculation comes from speculation about what President Trump is going to do. On the face of it, his policy prescriptions seem pretty inflationary and stimulatory. They’ll be a strong shot in the arm for the US economy…. Trump said a lot of things during his campaign. No one believed he was going to deliver on everything he promised or implied. I doubt he believed it all himself. So until we see what Trump actually has in mind, all we have is speculation built on speculation. That’s not a good basis for important financial decisions. The truth is we have two competing influences on interest rates. The first is the local economy, which is doing ok, but not really going gang-busters. Employment outcomes certainly haven’t been spectacular. So the RBA would still like to lower rates I think. The only thing that might change that is if the US dollar keeps storming ahead, and the Aussie dollar starts to fall toward the mid-60s range – then they might be happy to sit on their hands. But I certainly don’t get the sense that the RBA is poised to raise rates soon. But right now this downward bias in official rates is being balanced out by an upward tilt in actual mortgage rates. The international cost of capital jumped after Trump’s election (because the markets are nervous). That feeds through into Aussie banks cost of capital and therefore mortgage rates. Last week, FirstMac – the biggest non-bank lender – and nine other institutions hiked fixed rate mortgage rates by up to 45 basis points. So this trend is evident… for the moment. I mean, again, this is based on speculation about what Trump may or may not do. Time will tell. I’m not going to make too much of it just yet. So for my money, the downward bias in interest rates is still in effect. We might see some of that bias swallowed up by out-of-cycle rate hikes as banks try to cover their cost of capital, but not all of it. So I don’t think this is the bottom of the rate cycle just yet. Let’s keep an eye on Trump and see what unfolds. What do you think? Time to lock in rates?